Been hacking away the last couple weeks building an online price comparison search for moving box kits. Check it out at www.MovingBoxSearch.com, the design has a ways to go, and we still have to add a bunch of providers, but it’s getting there. We did manage to do one neat thing, we’ll buy $5 worth of Starbucks coffee for anyone who buys moving boxes through us. Within an hour or two of buying his/her boxes, the person will get an e-giftcard in their email inbox from Starbucks for $5. Who couldn’t use a little coffee on their move day? UPDATE: MovingBoxSearch.com didn’t make it, but check out MovingCompanyReviews.com for finding a great mover and moving boxes. Since I mention Orbitz in the title, check out what happened to OrbitzMoving.com, which wasn’t related at all to Orbitz.com. Here’s a quick legal explanation on how they got away with using the Orbitz name. Joe starts his lesson. AccentTraining.net calls his phone, and has him record a couple of sentences that we pull from a recent newspaper article. We notify Joe when the US speakers submit their ratings, and present him with the cornucopia of information mentioned above. 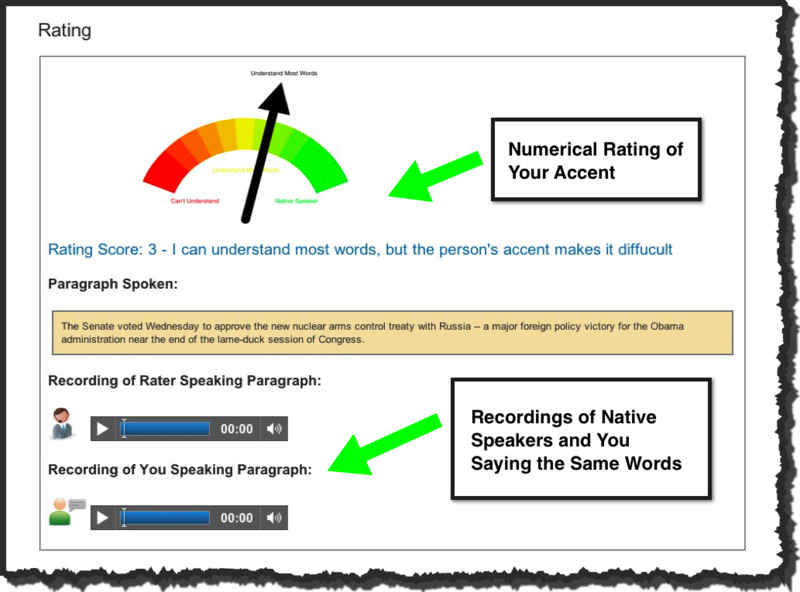 Here’s an example individual accent rating, and an example accent lesson. Why start such a service? Simple. I am a huge geek, and wanted to see if it could be done. Ok, that’s not the real reason, but I did enjoy the challenge. The real reason arose when a good friend, who grew up in India, and I were talking about business ideas awhile back. He wanted to a startup to help Indian students get accepted to US colleges, and the conversation meandered into a discussion of how poor many students’ American accents were. 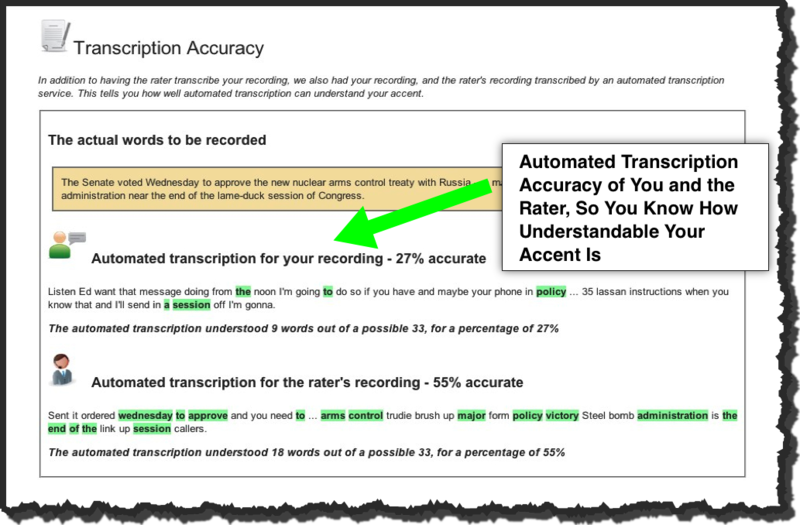 Fresh off of building a website usability testing service based on Mechanical Turk (EasyUsability.com), the thought popped in my head that an accent rating and training service was a perfect use of the turk. Who better than everyday American residents to help people with their American accents? Workers on outsourcing services like elance.com, oDesk.com, etc. So who knows where it will go from here, but we’ll see. Stay tuned for more posts on how things go! As I talk to our small business customers and I prospect countless websites, I have noticed how little these businesses are doing to market and grow their businesses online. The following is a quick list of easy things every small business can do across industries. I have left paid marketing off the list in order to focus on things every small business can do regardless of budget. Your website reflects your brand and your business. When someone comes to your site, they are making a first impression. You want your professionalism to show in the design, rich content, useful tools, and clear contact information. Don’t forget an email address in the contact information. I digress, but it is my pet peeve when I cannot contact a business via email. I usually only have time to work through my “to do” list at night. Make sure your site is SEO friendly. Don’t hire a spammy SEO firm that will charge you a lot of money, promise first page placement, and just throw a bunch of links into your footer. The search engines may like you at first, but they are quick to scold when the SEO tactics are not to their liking. This is a post for another day. There is nothing like free traffic! In the moving industry, there are thousands of searches for moving companies in every city a month. If you are not showing up in searches relevant to your business, you are missing out. Hire companies like ours, MoverWebsites.com and GolfWebsiteBuilder.com, that are focused on your industry that will build you a great SEO friendly site. If you already have a site you are happy with, work with a company like DIYSEO.com. They focus on SEO for small businesses at a reasonable price. It is not only important for customer perception, but it also helps SEO when you are registered with all the local directories. Enter your business’s information into http://getlisted.org/. This will tell you where/how you are listed in the various directories/search engines. You are the expert in what you do. Sign up for www.HelpAReporter.com. You get an email twice a day asking for experts across every industry and expertise imaginable. This is a great way to get yourself published and to promote your business. As a small business, you may have mixed result in your social media campaigns and marketing. It cannot hurt to create accounts on the sites below and to use them as appropriate to your business. Activity on these sites is also really good for SEO. Don’t go overboard worrying about Tweeting or constantly updating Facebook. Just be yourself. In each industry, there are professional organizations to get involved in at the local level. This is a great way to network with other professionals and share ideas on how they are doing business. Ran across this today – if you’re using @font-face and your fonts are not showing up in IE (yeah, IE, you rule…not), check out the font generator at fontsquirrel. It will give you all the font files you need, and the css code to make it all work. Easy like butter, love it. Two thumbs up for fontsquirrel. It is time to bang the gong. We launched a new customer this week on the MoverWebsites.com platform! When I worked at a software startup years ago, there was a tradition that we would bang the gong when there was a new client. Keep in mind, in the software world, the sales cycle is somewhere around a decade long. It felt like we didn’t bang the gong nearly as often as we would have liked. The whole banging of the gong was slightly awkward, but cramming into our small conference room and drinking cold beer was good times. I am sure that our clients would have been quite pleased with their decision at that point if they could see a bunch of 20 somethings drinking beer at noon on a Friday ready to solve all their billing and operations woes! I don’t have a gong nor am I drinking beer, but I am truly elated to announce the launch of M.C. Moving’s new site. If you are ever in need of Arizona movers or if you just want to see their gorgeous new site, check out M.C. Moving. These guys are great and have been a true pleasure to work with! One of the things I hated most about moving was finding moving boxes. I have flashbacks of lugging used boxes from the local grocery store and from work. I can only imagine how cool I looked walking down the street awkwardly juggling these stacks of boxes. As the move got closer, I would break down and spend a small fortune on boxes that I would use once! I always felt like the boxes were such a waste of money and bad for the environment. I was so excited to discover this company, Frogbox, that is providing an eco-friendly moving box alternative. They basically deliver re-usable plastic boxes to you. They have a really nice site and I look forward to seeing them expand to Chicago — not that I want to move anytime soon. The thought of trying to pack with 2 crazy toddlers scares me.